Another great project meeting today for our new office construction at 641 Lexington. Not only are we making progress on the buildout of the space but we also have some nice developments in interior design as well. We had Patti's Versace furniture reupholstered. 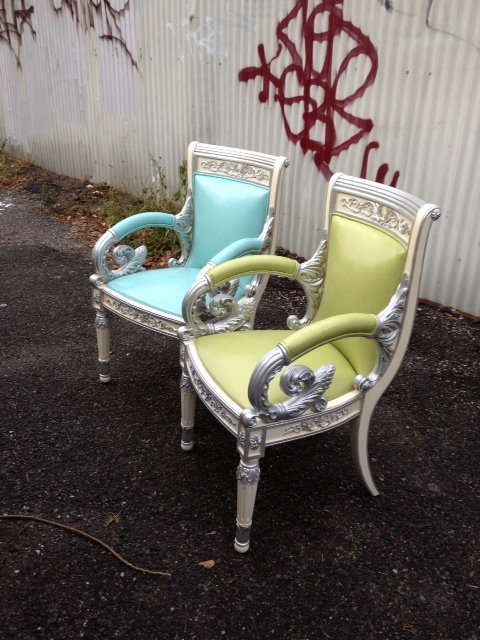 Don't these chairs look beautiful in their green/blue Restorsea splendor?